Call us now in Oakville to book Santa Claus. 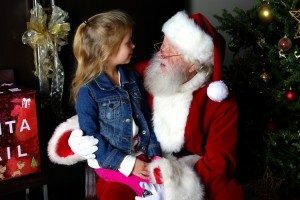 Each year, families and corporations in Oakville call us to book a Santa Claus. We have provided thousands of Santa Claus rentals for clients all over the country. 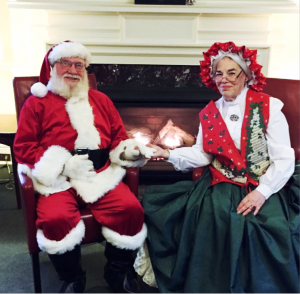 Hiring a Santa Claus is a great way to engage and entertain your guests during the holiday season. Each Santa Claus rental we offer has complete theatrical training and professional singing experience. We believe that a great Santa should have a background in Kids Theatre, singing and acting. 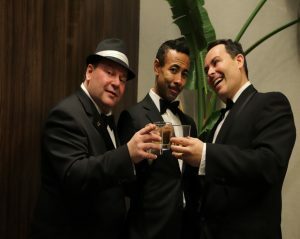 When you book our Santa Clauses for your private function or corporate event, we guarantee your complete satisfaction. Dressing up as Santa during the holidays is something that takes passion and a genuine desire to play the role. We ensure that the Santa’s we hire want the job. To us, being Santa is not only a job, but it is also a permanent career. We screen our applicants prudently and hire candidates who are as passionate as we are about bringing joy to the life of others. We also have Mrs. Claus and Elves available to hand out gifts, do face painting and animal balloons. If you are having an event with adults or children who want gifts, then our Santa rental services will suit you. If you would like Santa to call out names and hand out presents, we can arrange that. Our Santa will memorize the name and gift before the event and can even give your recipients an extraordinary speech to make the experience even better. 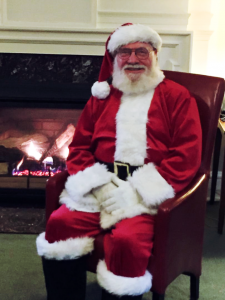 By hiring a Santa Claus for your event, you can guarantee your guests’ happiness. We assure you round the clock services even when other companies close shop for the day. We will discuss with you about your expectations and wants at the same time guaranteeing you availability and convenience. Apart from home visits, we also make corporate Santa bookings. If you would like to entertain your guests and your staff, you can rent a Santa Claus from us. You can even rent additional equipment such as a throne and Santa’s helpers. For instance, in one of our projects, we worked with a major restaurant chain that wanted our Santa to receive guests and give gifts to children that entered the restaurant. The aim was to create an unforgettable brand experience for their clients as well as help uphold their image as a quality restaurant that cares about its clients. If you are looking for a Santa Claus rental in Oakville, then we are your one-stop shop. Our Santa Claus rentals have the reputation of being the most specialized and entertaining actors. Every day, we receive calls from families and companies for our services. 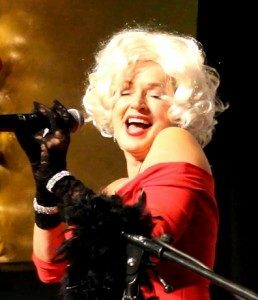 We have a variety of Santa Clauses who are ready and trained to perform for your Christmas party. All our Santa’s are professionals who will not smoke or drink while on the job. Additionally, they all have police clearance reports. Whether you are looking to hire our Santa’s for your company or family, we guarantee satisfaction so feel free to jump into the bandwagon of our satisfied clients.